Your senses are in for a treat at Villa del Palmar Beach Resort & Spa all-inclusive Cabo Resort. It’s all about Sea, sun, sky & sand; with your top priorities being relaxation and having fun! Spectacular vistas of Land’s End at the tip of Mexico’s Baja peninsula, and its incredible white sand beaches; historic surroundings of the town of Cabo San Lucas, excellent cuisine, fun kid-friendly activities, and high-energy entertainment are perfect ingredients for a carefree and memorable vacation. 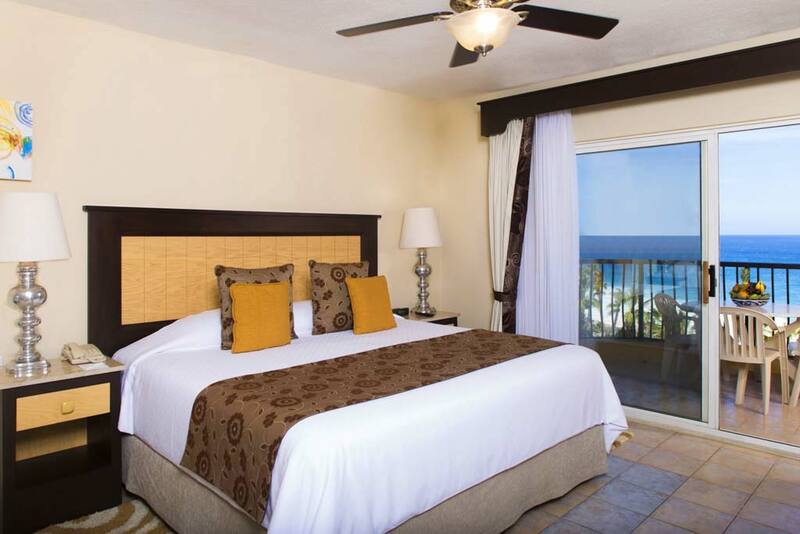 Sunny days and cool ocean breezes on Cabo San Lucas’ famed El Medano beach await you at Villa del Palmar. Optional all-inclusive meal packages, rated in the top ten of resort spas worldwide, exquisite architecture, outstanding service, and a multitude of divine amenities make your vacation just what it’s meant to be. Just one of the Villa Group’s collection of distinctive luxury Resorts in Mexico. 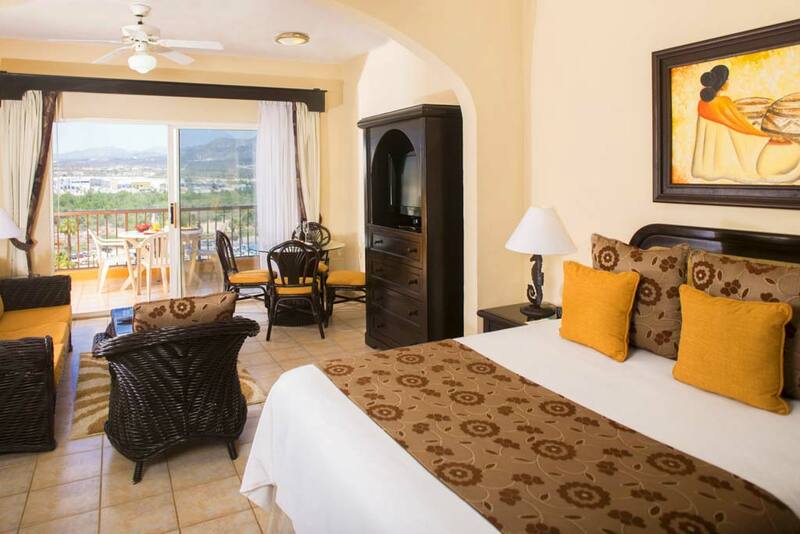 Villa del Palmar Resort is an exceptional resort perfect for families, couples and travellers looking for quality on a budget. Palmar is also fantastic as it is downtown, but does not feel like it as you can escape and relax. Villa De Palmar Resort offers either accommodations only (European Plan, OR all-inclusive meal plans, with four delightful on-site restaurants to experience and savour. You’ll discover dining experiences full of wonderful Mexican comfort foods and delicious eats. A word to the wise… If you are traveling under the all inclusive package, you’ll want to pace yourself as you’ll find yourself eating all day by the pool…. The tasty Taco Bar is impossible to resist. Off premises restaurants in San Lucas, with ever greater variety, are only minutes away. Just ask your LuxLife Concierge for restaurant recommendations to fit your style, appetite and budget. Villa del Palmar is a Beachers dream. If you are looking for an amazing, frugal resort which has all the beach activities you can dream of available, then you have found it! From Jet-skiing to parasailing, you get all the beach fun at your fingertips. You are also just a one minute walk down the beach to all the Medano Beach bars and restaurants. Unlimited food at all restaurants at Villa del Palmar (premium items not included). Unlimited Drinks including selected Premium Brands. **Not Included**: Room Service 11:00pm to 7:00am, Kids Club, wine by the bottle; deli and gift-shop snack foods and beverages; motorized water sports; scuba-diving instruction/excursions; spa/salon services and facilities; hair braiding; ceramics painting; laundry and dry cleaning; photo services; telephone calls and faxes; Internet access; incidental purchases; outside tours; airport transfers and voluntary tips. Premium items from restaurants’ menu. Gaze at spectacular vistas and breathe in the salt air off the Sea of Cortez from your private balcony or terrace. This suite offers all the room you and your family need to kick back and relax, with two double beds and one Travertine accented bathroom. Palmar’s Junior Villa Suite also offers a fully-equipped kitchen and breakfast bar, giving you all the comforts of home in your paradise retreat. Gaze at spectacular ocean vistas and breathe in the salt air off the Sea of Cortez from your private balcony or terrace. This suite offers all the room you and your family need to kick back and relax, with two double beds and one Travertine accented bathroom. Palmar’s Junior Villa Suite also offers a fully-equipped kitchen and breakfast bar, giving you all the comforts of home in your paradise retreat. Gaze at spectacular vistas and breathe in the salt air off the Sea of Cortez from your private balcony or terrace. Palmar’s One Bedroom Villa Suite offers gracious and luxurious living space for you and your family to kick back and relax. Featuring a double sized sleeper sofa amongst other comfortable furnishings; a private master bedroom with king bed; and two Travertine accented bathrooms with sunken tubs and marble showers. This suite offers a fully-equipped kitchen and dining area, giving you all the comforts of home in your paradise retreat. Gaze at spectacular vistas and breathe in the salt air off the Sea of Cortez from your private balcony or terrace. Palmar’s Two Bedroom Villa Suite boasts 1,130 square feet of luxurious living space for you and your party to kick back and relax. Featuring a double sized sleeper sofa amongst other comfortable furnishings; two private bedrooms with king (or queen) bed; and two Travertine accented full bathrooms with sunken tubs and marble showers. This suite offers a fully-equipped kitchen and dining area, giving you all the comforts of home in your paradise retreat. 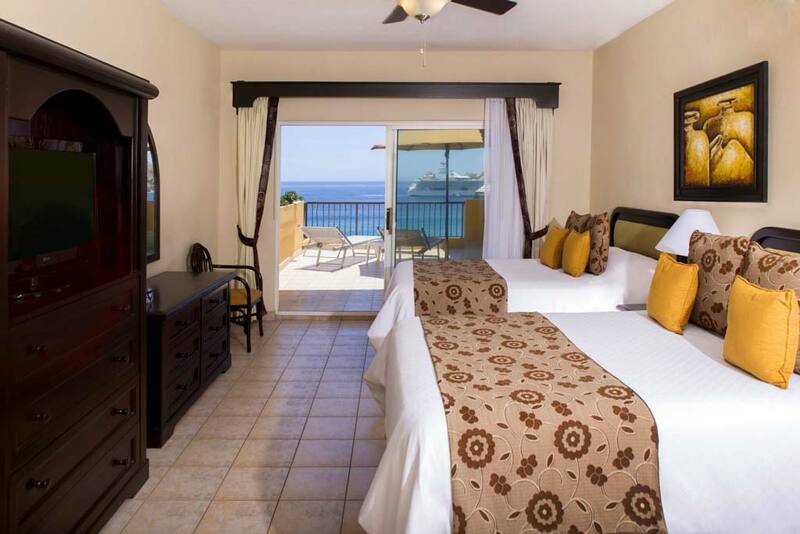 Gaze at spectacular vistas and breathe in the salt air off the Sea of Cortez from your private balcony or terrace. Palmar’s Oceanfront Two Bedroom Villa Suite boasts 1,130 square feet of luxurious living space for you and your party to kick back and relax. Featuring a double sized sleeper sofa amongst other comfortable furnishings; two private bedrooms with king (or queen) bed; and two Travertine accented full bathrooms with sunken tubs and marble showers. 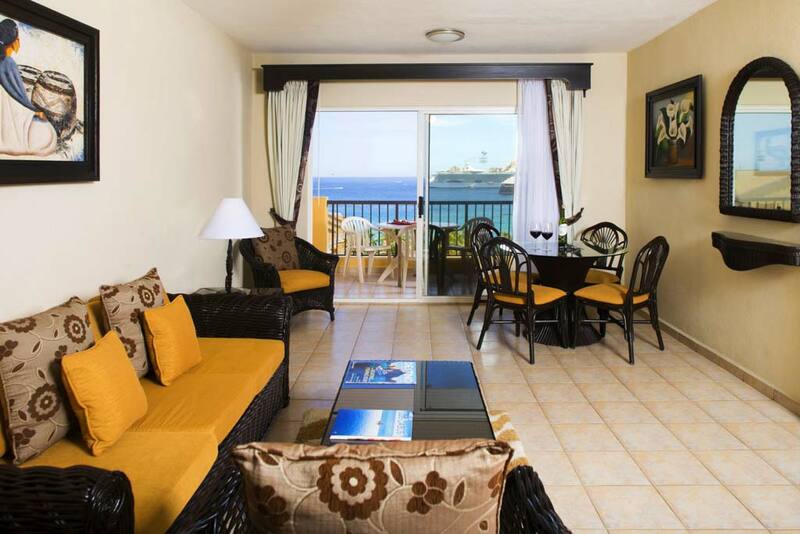 This suite offers a fully-equipped kitchen and dining area, giving you all the comforts of home in your paradise retreat. Gaze at spectacular vistas and breathe in the salt air off the Sea of Cortez from your private balcony or terrace. Palmar’s Three Bedroom Villa Suite boasts 2,500 square feet of luxurious living space for you and your party to kick back and relax. Featuring an entertainment center, comfortable furnishings including a double sized sleeper sofa; master bedroom with king bed and ensuite bath; two private bedrooms with king beds, and two additional Travertine accented full bathrooms with sunken tubs and marble showers. This suite offers a roomy fully-equipped kitchen and dining area, giving you all the comforts of home in your paradise retreat. Villa del Palmar is one in a trio of Villa Group’s superb hotels in their sprawling beachside campus on the Sea of Cortez, at the edge of the quaint town of Cabo San Lucas. Shops, restaurants, bars, pools, and everything you can think of can be found in this luxurious compound. For venturing out, it’s just a short walk or drive to El Centro, as well as Cabo’s famed Puerto Paraiso Mall & Marina. Only a few minutes walk to Cabo’s people-watching paradise — El Medano beach; where you can dig your toes in the sand, swim, explore, and indulge in a variety of beach palapa restaurants and bars. The luxurious Hacienda style 31,000 square foot Desert Spa, located adjacent to The Fitness Centre in front of Villa del Arco is prepared to pamper you, in any and every way you can think of or desire. Open every day from 8-8 Specialties including massages, body wraps, facials, hydrotherapy, and couples’ experiences; utilizing exclusive products made from fruit and plant extract from regional Baja vegetation. A full service beauty salon is also available with special packages and a la carte options. Singles, couples, and families with children are all welcome at the Villa Group Hotels. Pets are not allowed at any of the Los Cabos properties. Check out time is 12:00 noon. 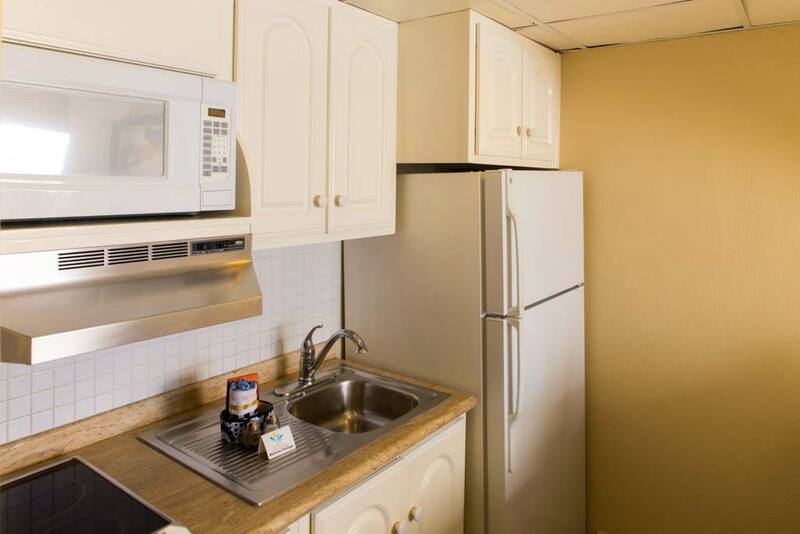 Guest suites feature kitchenettes and full sized refrigerators and are equipped with high speed internet access, TV with satellite and movie service, direct dial phone with voice mail, 24 hour room service, daily English newspaper, and other amenities. At guests’ disposal are a state of the art professionally staffed fitness facility, two lighted tennis courts, an adults only pool and secluded relaxation pool. Families can enjoy the Kids in Paradise Club, paddling pool for toddlers, family pool with whale slide, and miniature putting green. Shopping Plaza with shops and services including a grocery store is also located on the property. 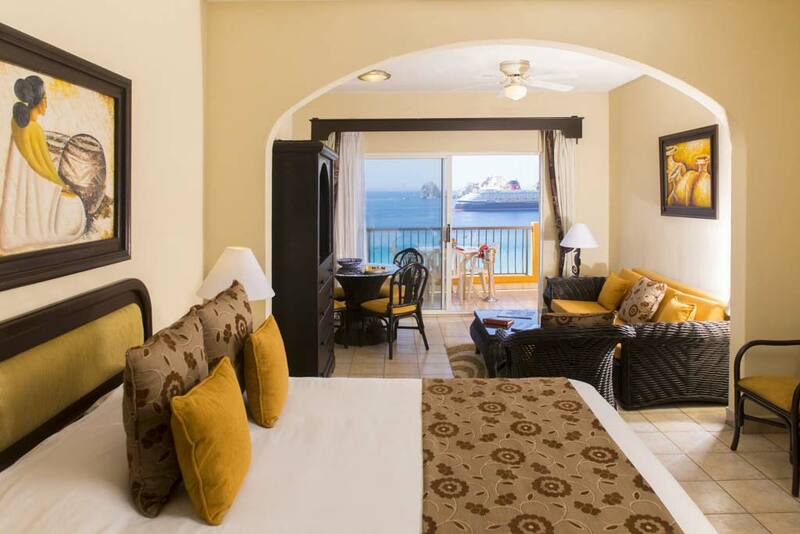 All-Inclusive rates per children (4-12 years) per night in all travel dates $49 USD. Children 13 years and older pay the adult rate. Unlimited food (*Surcharges apply on Lobster, Jumbo Shrimps and Prime Meats dishes) at all restaurants at Villa del Palmar. **Not Included**: Room Service 11:00pm to 7:00am, Kids Club, Premium brand drinks or wine by the bottle; deli and gift-shop snack foods and beverages; motorized water sports; scuba-diving instruction/excursions; spa/salon services and facilities; hair braiding; ceramics painting; laundry and dry cleaning; photo services; telephone calls and faxes; Internet access; incidental purchases; outside tours; airport transfers and voluntary tips. Two children 12 and under, free in parents room in EP Plan (applies only to Deluxe Suite as the rates for the other categories are a “flat” rate regardless of the combination of adults and children in the unit as long as the maximum occupancy per unit isn’t exceeded). With 5 restaurants and plenty of bars, Playa Grande Resort is an exceptional resort perfect for families, couples and travelers looking for quality on a budget.